"Whatever your reasons may be, you are perfectly correct," said she. "I started from home before six, reached Leatherhead at twenty past, and came in by the first train to Waterloo. Sir, I can stand this strain no longer; I shall go mad if it continues. I have no one to turn to -- none, save only one, who cares for me, and he, poor fellow, can be of little aid. 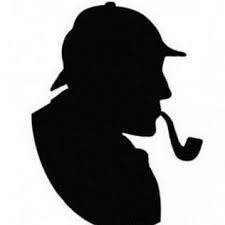 I have heard of you, Mr. Holmes; I have heard of you from Mrs. Farintosh, whom you helped in the hour of her sore need. It was from her that I had your address. and at least throw a little light through the dense darkness which surrounds me? and then at least you shall not find me ungrateful."